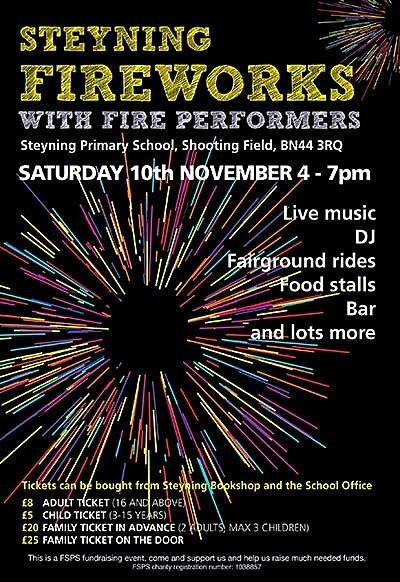 Tickets can be bought from The Steyning Bookshop and the School Office. £25 Family Ticket on the Door. This is an FSPS fundraising event, come and support us and help raise much needed funds. FSPS Charity Registration No: 1038857.